Welcome to the 70's, suede has trickled back in full swing. 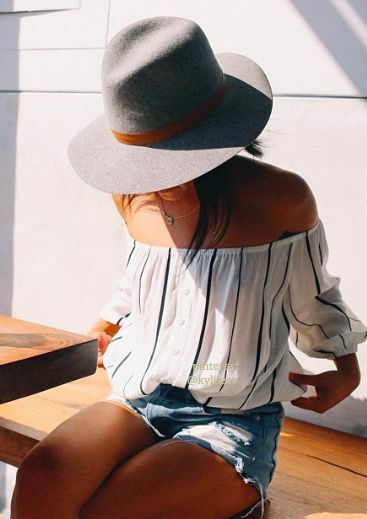 Designers such as Chanel, Burberry and Jason Wu have designed amazing pieces such as a-line skirts and suede shirt dresses,that is all the fashion, but until we can afford that price tag, take a look at my inspirational pieces from Pinterest. 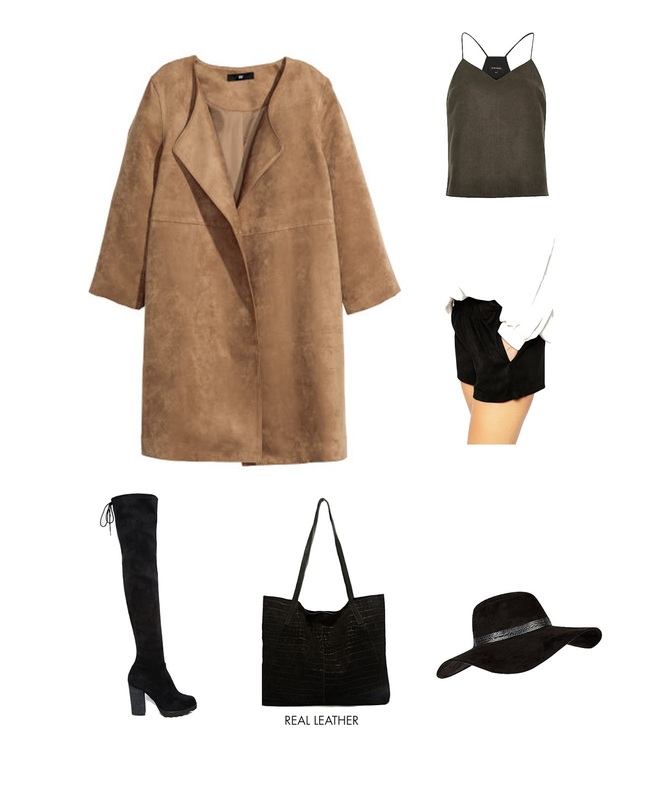 While we are slowly slipping away from Summer and into Autumn (it's been raining for the past 2 days now) let me highlight what has recently caught my eye, and how I will incorporate suede into my wardrobe. While passing through H&M I spotted this SHORT COAT (£39.99), which reaches my mid thighs. As I go for a more simplistic look, the brown/camel colour will suit me the best paired with black accessories to create balance. The coat has a lovely flowy silhouette and a slight over-sized shape, which is great for layering for the cold weather that is not too far off. 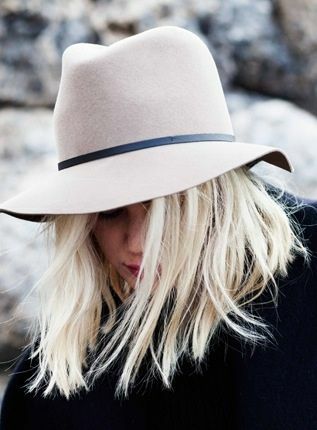 With having a golden tone in my hair, I will need to tie my hair up or use a hat to balance out my outfit such as this HAT from River Island. I first seen this SUEDE CAMI (£28.00) at River Island 3 weeks ago, when it was located at the 'just arrived' section, which I am going to pick up once pay day arrives. The fabric is light enough for summer and suitable for day and night occasions. With still being in the Summer season (if we can call it that) I fancied a pair of shorts, as I much prefer shorts over skirts (so I don't flash anyone). 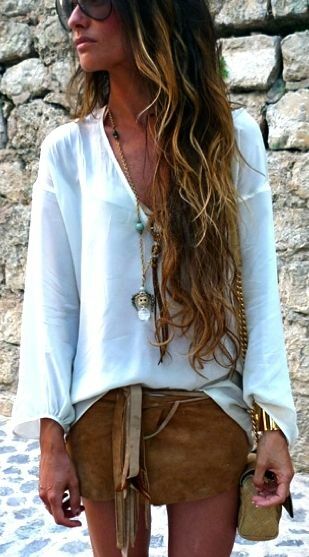 These SUEDE SHORTS (£20.50) has a elasticated waist, and is wonderful for tucking in casual white shirts and tops, creating a ruched effect, adding detail to your outfit. I have been looking for a simple suede/leather shopper bag, that can fit everything that I need. Every-time I see one, I will 'model' it, but they all don't seem right. This SHOPPER BAG (£35.00) seems like is has the perfect strap, as I don't like bending my elbow, to put the bag on my shoulders. But again, I will need to wait until payday too. Lastly, one of my favourite things: shoes. These KNEE HIGH BOOTS (£194.50) has a soft material that shapes your legs, a fastening which allows the boots to stay up and a comfortable chunky heel height. (I'm not a fan of flat shoes). Obviously you won't be wearing these right now, but you can pair your outfit with some suede lace up sandals. Hope you like my SUEDE LIST (get it - wish list?) Until next time. Love all the wardrobe inspo from this post, there are some great pieces! I definitely love AW fashion more than SS weirdly!